This item will be created for you after purchase. Order now for delivery on Friday, May 10. 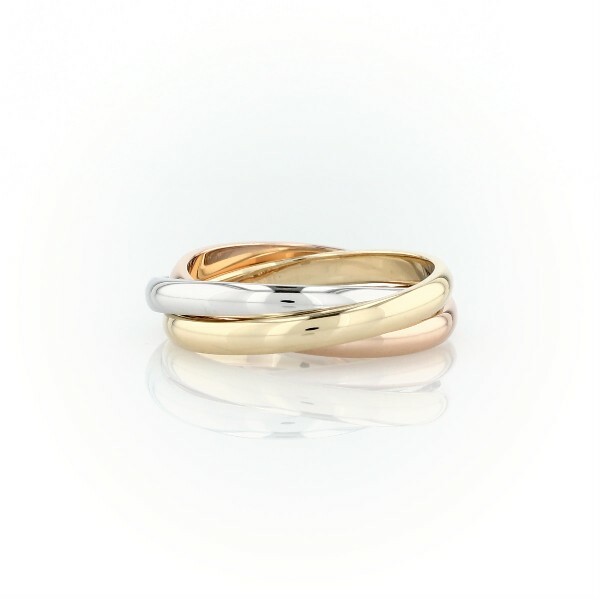 Classic and chic, this rolling ring features unfixed bands of 18k white, rose, and yellow gold that move together to slide onto your finger.